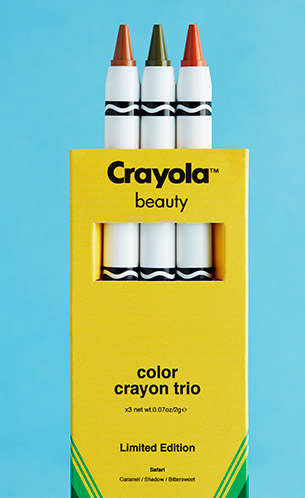 Ahhh, Crayola, the brand of our childhood. Unless you lived under a rock, chances are you've gotten crafty once, twice, or even a thousand times with their beloved crayons. And now they're testing out a new venture — MAKEUP! 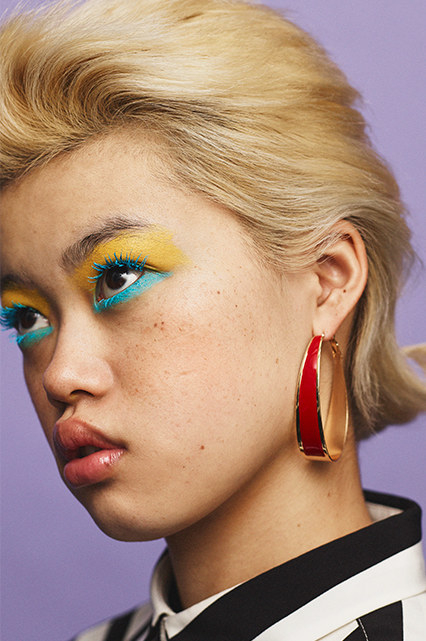 That's right, Crayola has teamed up with Asos for an exclusive cosmetics line you're gonna want to get your hands on ASAP. For all you colorful people (who probably tried coloring your eyelids a nice shade of Robin Egg Blue, or your cheeks a bright Macaroni and Cheese as a child), your adult-self can now do so safely with REAL COSMETICS! 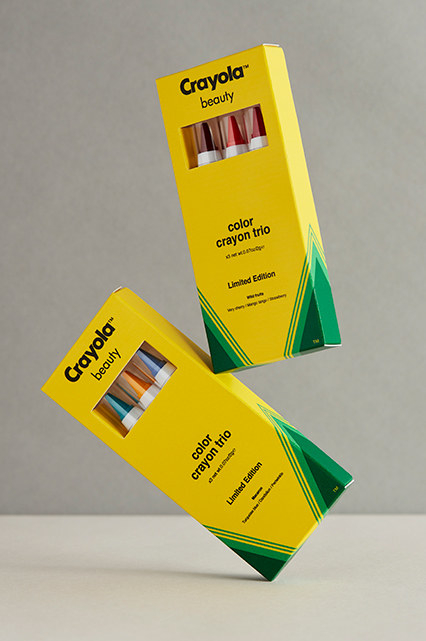 Plus, many of the products look like ACTUAL crayons! Like this trio of pigmented lip, cheek, and face crayons that boast a creamy texture and are multi-purpose and great for blending. Find more face crayons here, lip and cheek crayons here, and eye crayons here. There's this bronze highlighter crayon to really emphasize your gorg cheekbones and leave you feeling as radiant as you did when you were 8-years-old and colored inside the lines for the first time. They also have super cute and v fun eyeshadow palettes — I'm obsessed with this mermaid palette of 10 matte and metallic, talc-free shades, so you'll never get bored! Find more eyeshadow palettes here. There's also mascara that looks like a marker on the outside! Bet you never thought you'd be accentuating your eyelashes with Crayola, but hey, it's 2018 and anything is possible. 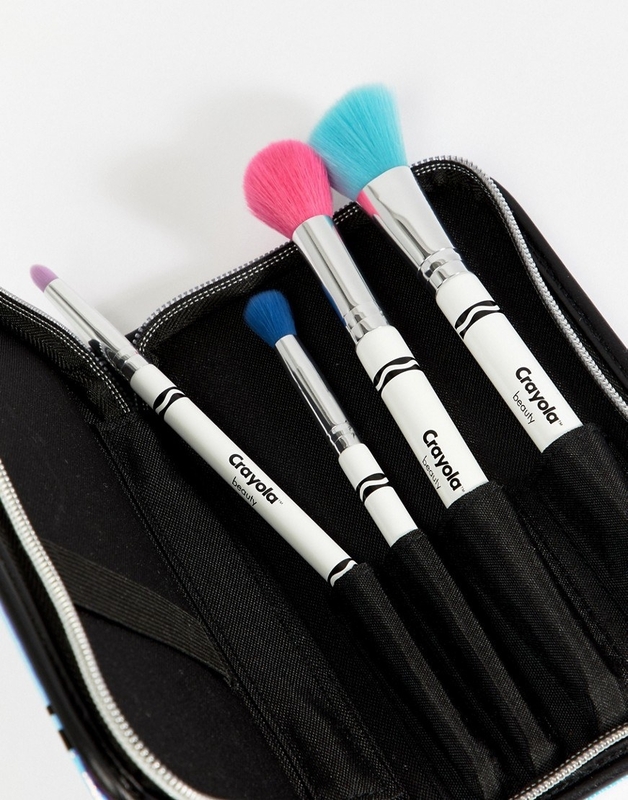 And of course, to top it all off, there's this awesome makeup brush set that comes complete with four vegan brushes — blush, highlighter, eyeshadow, and lip, which will make blending all your new favorite Crayola cosmetics easy peasy, Lemon Yellow, squeezy. 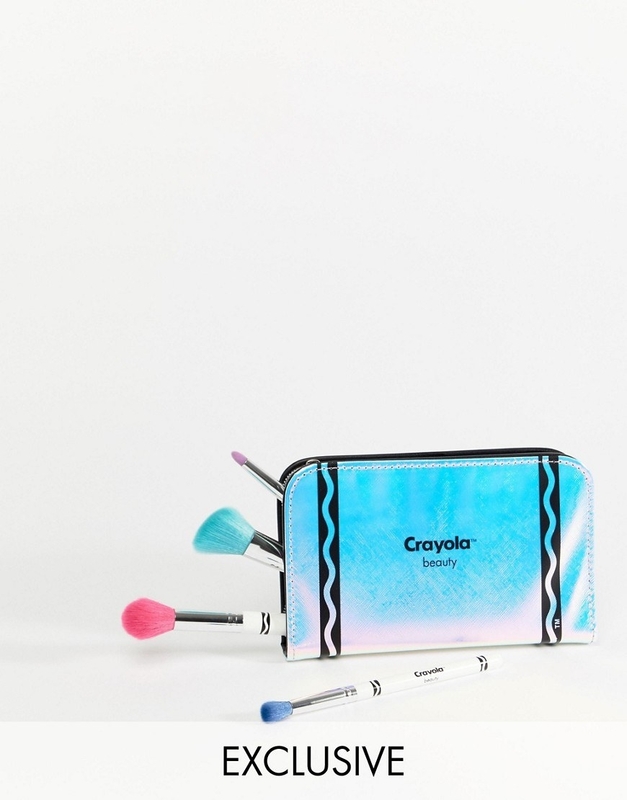 So, if your inner child is SCREAMING and in desperate need of EVERYTHING, then head on over to Asos and check out the entire Crayola cosmetics line.